Having lived in the beach area for over two decades, I am especially proud to be the Councilmember fortunate enough to represent our City’s beaches and bays. San Diego’s beaches, cliffs, bays and channels are some of the greatest treasures our City has to offer. Every day I’m working to protect and celebrate our coastline for residents and future generations. In Ocean Beach, I’m working to enhance the quality of life that this unique community has to offer. From large capital projects to individual community requests, we accomplished a lot in 2012 to improve Ocean Beach. By acting on requests from you and your neighbors, the City has successfully installed traffic calming signs along Sunset Cliffs Boulevard, replaced aging bike racks along the Abbott Street, approved the City’s first electronic vehicle charging stations at Robb Field and signed a contract to have 373 palm trees trimmed throughout Ocean Beach. Our progress in Ocean Beach doesn’t stop here. By operating my office under budget and accruing savings, I directed City tax dollars back into the community. We fully funded the Ocean Beach 125th anniversary banners hung throughout the business district, partnered with the lifeguards to repaint their station on Abbott Street and provided new bicycles for our SDPD Beach Team. While these projects maintain and enhance Ocean Beach’s outward appearance, we must remain committed to protecting the heart and soul of the community. This means City projects designed to represent Ocean Beach’s character, and through consensus-driven neighborhood collaboration, providing the leadership necessary to ensure that this community has a voice in City Hall. In 2012, our mutual efforts have resulted in several successful projects, such as the Brighton Street Comfort Station adorned with neighborhood inspired art, the locally designed Ocean Beach entryway, and bicycle friendly enhancements through the recently established District Two Bike Coalition. Working together, we’re united in how Ocean Beach moves forward. I welcome continued communication with all Obceans on issues important to the community. Together, let’s make Ocean Beach’s 126th year just as productive. ” Every day I’m working to protect and celebrate our coastline for residents and future generations” ? W.T.F. is he talking about ? Kevin Faulconer and his office ignored the issue of the illegal trailer for more than four years after repeated request for help. The issue involved access and public views for residents, but it was not what the OBMA wanted , so he ignored the residents. After confronting Mr Faulconer about the trailer in person in the parking lot he promised to ” look into it ” neither he nor his office would return a phone call or email. He is the biggest reason the California Coastal Commission issued the city a violation. He ignored several city codes & state laws. He is NOT looking out for the residents of OB he is a tool for special interest. The lifeguard tower would have been painted regardless ! Typical politician , if his mouth is moving he is not telling the truth. Ignore him and go to city & state officials if you need honest help. Can we recall this guy ? althou’ i have disagreed with faulconer over the years on many issues, such as farming out basic city services to for-profit groups and of course his support for demayonnaise , i have found that faulconer has been accessible to obceans. he did step up during mayor sanders’ threats versus our branch library a few years ago and support those of us who opposed those cutbacks. more recently, faulconer has signaled a willingness to work with the current mayor, one of the most progressive in our city’s history. i believe he is presently termed out – not sure where he is going. Art and banners? What a lot of nothing. Does Kevin Falconer know Ocean Beach is a large community with no grocery store? Sure there are a few corner markets and 7-11’s mainly in business to sell beer, liquor and cigarettes. Buying groceries, pet food, tp at these stores is for kids maybe, on vacation or when one forgets to buy something when they go shopping for groceries. Apple Tree planned to close at the end of 2012 and for months before that they were already closing, not re-stocking. It was a large grocery store where you could get about anything you’d want but the selection was small and prices were high; it was really more like a very large corner market mainly selling booze, chips and “food”, tp, etc. Stumps in Point Loma remains and is a few miles up Voltaire and has good prices but for the many residents who are young and old in OB that don’t drive, it will be a hardship going to Stumps. People who haven’t had to ride the bus will learn to hate it as it exists in OB. Really, before moving into the area, if you don’t drive, make sure you look at the situation. It’s unusual to live in a city and not be in walking distance from a Von’s or Ralph’s or Stumps even, or at least one expects to be able to shop within two miles from home. If you are moving into OB your landlord should tell you about this unusual situation and you should not pay top-dollar rent to live in OB until a real grocery store opens. I heard the Apple Tree building has a “for lease” sign now, so I doubt any wholesale grocery store is coming as suggested in the Reader. Apple Tree owner’s plan to open a high-end smaller market is down the road a few months and not much of an option for buying petfood, tp, your food, etc. unless you are very wealthy and money is no object. Before you jump in and pay high rent do check out the bus schedules and plan on waiting longer than you’d expect for the 35 that supposedly runs every half hour or the 23 that runs much less and does not pass any grocery stores. Kevin Faulkener’s concerns for OB are just its image for selling and renting property, veneer covering a community that should not be charging exorbitant rents until it makes living there more reasonable and affordable. 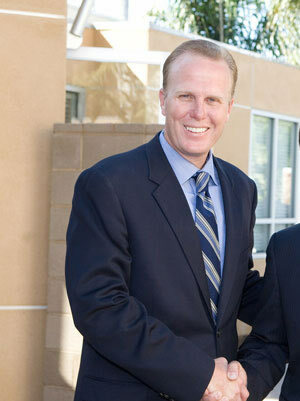 In addition to being a former Obecian, I also work for Kevin Faulconer. It’s great to see feedback to his column. I want to share a couple of thoughts on the comments so far. As Kevin highlights in his piece, his objective is to provide leadership at City Hall based on the needs expressed by the O.B. community. He sees his mission as amplifying your voice to the Mayor and City departments so we get results that improve our quality of life. In other words, bottom-up decision making. Regarding the trailer in the Abbott St./Newport Ave. parking lot, it’s used by the Police Department as part of their patrol in Ocean Beach. To ensure all coastal rules are adhered to, the San Diego Police Department is applying for a Coastal Development Permit. We’re all disappointed with the closing of the Apple Tree. Kevin has communicated to the property owner his strong support for another grocery store to serve the Ocean Beach community. Again, thanks for the comments. We in Kevin’s office read the OB Rag and appreciate everything you all are doing to make the community better.